In this post, we examined 5 of the best-selling GeForce graphic cards. A quick recommendation, the GeForce GTX 1050 is our top pick, balancing outstanding performance for the price, according to reviewer feedback. While your computer's CPU is considered the 'brains' of your system into which all the data flows, your GPU or graphics card is responsible for the quality of the graphics and effects your system can put out. Many users rely on graphics cards for gaming, but others need them to drive dual monitor setups and to view high definition movies. Graphics cards take information supplied by the software and renders that information so it can be displayed on your screen. That information can be in the form of a flat visual, such as with a movie, or a 3D rendered visuals such as in polygons in video games. The more complex the visuals, the more powerful card your computer requires (Source). Most buyers agree that budget video cards are an ideal way to extend the life of an aging PC, but caution to not set your expectations too high. Among the Nvidia GeForce graphics cards we've looked at, the GeForce GTX 1050 looks to be a great buy. It offers outstanding performance for the price and reviewers agree that when paired with sufficient RAM, it offers graphics performance on par with the Playstation 4 and the Xbox One (Source). The Nvidia powered Gigabyte GT 420, the GeForce 210, the GeForce 8400 and the GT 730 are all considered to be budget, entry-level cards that are ideal for beefing up older machines. These cards will give your aging PC the ability to play higher end games, watch HD video and allow you to drive multiple monitors, which is beneficial if you're a graphic designer or are editing video. The downside to these cards is that, although they're inexpensive, you're just not going to get the performance out of them that you can from Nvidia's 1080 Ti or Titan XP cards (Source). Still, if your computer is 4 or more years old, installing one of these cards will make a world of difference in your computer's capabilities. • Gigabyte GT 420 Fast, adequate performance, but struggles with games using higher frame rates and graphics. • GeForce 210 Acceptable performance. Good choice for extending the life of older machines. Reviewers say it's underpowered for most modern games such as Skyrim. 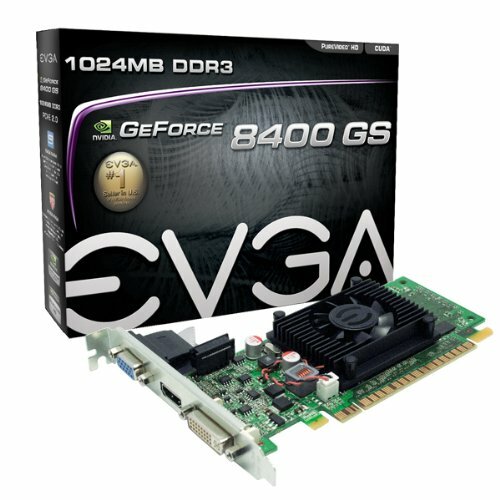 • GeForce 8400 A good, budget, entry level replacement for an older card. It offers decent HD video performance, but some reviewers suggest it's no longer supported. • ViewMax GeForce GT 730 Can't be beat for the price. Offers solid gaming performance provided you pair it with enough RAM and a decent CPU. The NVIDIA GT 730 GDDR3 GeForce graphic card is a solid option for someone who is looking for an affordable game PC build.Users like the visuals, but some do complain of the card’s performance. This product is a 4GB GDDR3 128 Bit DVI Video Card. It features HDMI and HDCP Support. Other features include 96 processor cores, fast GDDR3 128-bit memory bus, 900 MHz engine clock,1667 MHz shader clock, 1600 MHzMemory clock and PCI Express 2.0 (compatible 1.1). It is compatible with Microsoft Windows XP/Vista/7 x86/x64/Win 8/Win 10. This item might be a solid choice if you want a graphic card that is capable of dual simultaneous display. The general user consensus concerning the NVIDIA GT 730 GeForce graphic card is that it works well and offers great visuals. However, some buyers complain that the card doesn’t quite live up to what it should. As one user shares, it struggles with games it shouldn’t. Another one complains of the short lifespan. If you are looking for a GeForce graphic card, you might want to consider the EVGA DDR3 01G-P3-1302-LR model.Users like the price/performance ratio of this card, but some do complain about its durability. This product is a GeForce 8400 GS graphic card. The manufacturer states that it is essential for watching HD DVD and Blu-ray movies on a PC, as well as for accelerating the Microsoft Windows Vista/7 experience. The item features a 520 MHz core clock, 1024MB (1GB) of DDR3 memory with a 600 MHz memory clock and 4.8 GB/second memory bandwidth. Other features include a 1230 MHz shader clock, 8 CUDA cores, and PCI Express 2.0 compatibility. The card is available as a 1 GB (01G-P3-1302-LR), 1GB passive (01G-P3-1303-KR), 512 MB (512-P3-1300-LR) AND 512 MB passive (512-P3-1301-KR). This item could be a solid choice for those who want to enjoy full HD experience on their PC. In general, users state that the EVGA 01G-P3-1302-LR GeForce graphic card meets their expectations.They agree that it works great and that it is easy to install. Users conclude that buying this card you get great graphics for the price. However, some do complain about the short lifespan of this card even when not pushing it beyond the uses for which it was designed. As one buyer shares, after less than a year, the small fan started making a very loud noise even though he used his PC mainly for web surfing and word processing and never used it for gaming. Another user states that this item could be great as a modest upgrade for old PCs, but not so much for crypto-currency mining. If you’re looking for a top-rated GeForce graphic card, you might want to consider the EVGA GTX 1050 GDDR5 04G-P4-6253-KR.Users state that this card is a great value for the money, but some complain about the noise and overheating issues. This product allows for stunning visuals and great performance at 1080p HD+. It features Pascal™ architecture that is said to deliver improved performance and power efficiency. Other features include 1354 MHz base clock, 1468 MHz boost clock and 4096MB GDDR5. This item might be a good choice if you want to enjoy fast, smooth, power-efficient gaming. The general user consensus concerning EVGA GDDR5 04G-P4-6253-KR.is that it is a great card for a budget game build. Many buyers appreciate that it is very quiet. They state that you can run games in high and ultra settings. However, there are complaints regarding the fact that it gets very hot with only one fan. Also, some users complain that it is a very noisy card. The EVGA 210 DDR3 01G-P3-1313-KR GeForce graphic card could be a solid option if you do a lot of photo editing, gaming or HD video playback.Users like the performances of this card, but some complain that the desktop case may overheat. This GeForce graphic card features 16 processing cores, 520 MHz GPU, 1238 MHz shader clock and 240Hz Max Refresh Rate. It also features DirectX 10.1 support, NVIDIA PhysX technology, HDMI output and NVIDIA CUDA technology. 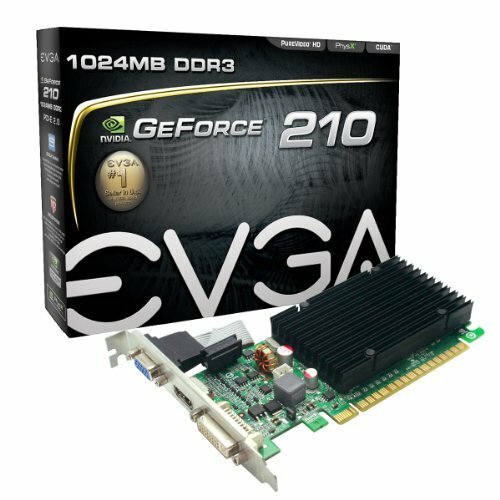 The manufacturer boasts that the EVGA GeForce 210 brings incredible processing power at a great price. You can choose between the following models: 1GB (01G-P3-1312-LR), 1 GB passive (01G-P3-1313-KR), 512 MB (512-P3-1310-LR) and 512 MB passive (512-P3-1311-KR). This product might be a solid choice for those who want to upgrade their PC to enjoy good graphics. In general, users have a good opinion of the EVGA 01G-P3-1313-KR GeForce graphic card and they conclude that it is great for a media center PC. Although it may not be quite as powerful for gaming, users share that it is good enough for movies and HD video. 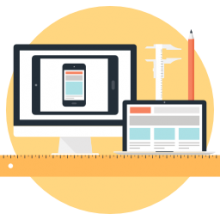 Many buyers appreciate that it is easy to install. However, some complain that it might not be perfect for a low profile computer. As one user explains, his desktop case overheats which causes the computer to shut down. The GYGABYTE DDR3 GV-N420-2GI GeForce graphic card is a solid option if you want a graphic card that will allow you to enjoy full HD 1080p. Users love the performance of this graphic card,but some do say that it might not be a perfect choice for gaming. This product features 700 MHz core clock and it is integrated with the first 2048MB DDR3 memory and 128-bit memory interface. The manufacturer claims that gold plated, durable large contact area connectors have been used for optimum signal transfer between connections. This item seems like a solid choice if you are looking to give a new life to your old computer. 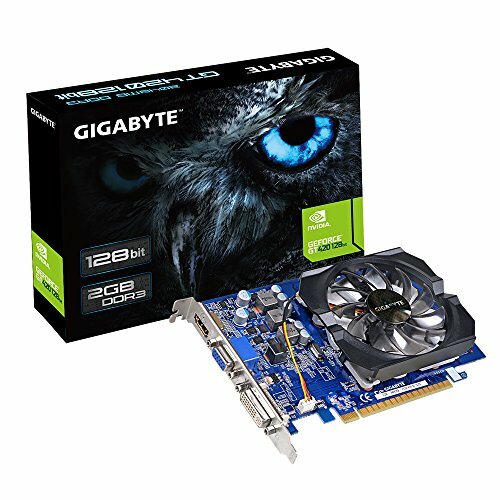 In general, buyers have a very favorable opinion of the GYGABYTE GV-N420-2GI GeForce graphic card. They agree that it works great and that it is easy to install. However, several purchasers do complain that it struggles on bigger games. One dissatisfied user states that it could not seem to handle simple dual monitor setup while streaming Netflix on one monitor and just browsing the net on the other. GeForce is a graphics processing units (GPUs) brand created by Nvidia. As of 10 series of GeForce, there have been 14 design iterations. The first products by GeForce were discrete GPUs which were designed for graphics boards. They were intended primarily for the PC gaming market, and the product line diversification that took place later covered all levels of the graphics market of PC, from cost-sensitive GPUs that are integrated on motherboards, up to ordinary add-in retail boards. Recently, GeForce has introduced its technology into a line of set-in application processors by Nvidia, designed for mobile handsets and electronic handhelds. Apart from the discrete GPUs that are found in graphics-boards, GeForce by Nvidia and Radeon GPUs by AMD are currently the only competitors left in the market. The GeForce architecture, along with AMD Radeon, is taking steps toward GPGPU (general-purpose graphics processor unit). Many people who run high definition projectors favor using high-end graphics cards for optimized display. It is expected that GPGPU expands GPU functionality above the traditional 3D graphics rasterization, turning it into a computing device which will be able to generate arbitrary programming codes the same way as a CPU does, however, with different strengths and weaknesses. How Do Graphic Processing Units Work? All the images we see on our ASUS monitors are made of very small dots called pixels. With most common resolution settings, over a million pixels are displayed by a screen, and the computer is to decide in what way to act with everyone to create an image. In order to do this, the computer needs a translator, something that will take data from the CPU, then turn it into an image that you can see. If a computer does not have graphics capability built directly into the motherboard, the translation has to take place with the help of the graphics card. The job of a graphics card is quite complex, but its components and principles are not hard to understand. In the current article we study the basic parts a video card has and what these parts do. We also look into the factors which work together for making an efficient and fast graphics card. Imagine that a computer is a company which has its own department of art. Every time people in the company need an artwork, they have to send the department of art a request. The department then decides in what way to create the picture and after that puts it on paper. And the final result is that somebody’s idea turns into a real, viewable image. A graphics card works in the same way. Working with software applications, the CPU sends the graphics card information related to the image. It is up to the graphics card to decide in what way to use pixels on the screen for creating the image. Then it sends the information to the monitor over a cable. It is quite hard to create a picture out of binary data. For making a 3D picture, the graphics card first of all turns straight lines into a wire frame. Afterwards, it rasterizes the image by filling in the remaining pixels. In addition, it adds lighting, color and texture. For games that are fast-paced, the computer goes through this process around sixty times per second. When there is no graphics card that would perform the necessary calculations, the computer cannot handle the whole workload. Nvidia vs AMD: Which Graphics Card Should You Choose? It depends on your projected use which one can be declared the best GPU. We recommend watching a bunch of unboxing and benchmarking videos on YouTube- we collected one for each card above. In case you are interested in gaming, Nvidia’s performance is currently ahead of that of AMD. But if you need computing power to be able to mine a cryptocurrency like Ethereum, the most powerful one is AMD by far. This is a matter of design choices that the manufactures of the card make. AMD targets the “compute” market and provides microarchitectures and instruction sets that are much suitable for low-level computational operations which underlie password cracking and cryptocurrencies. Nevertheless, the cards are not that powerful when dealing with rendering polygons. In today’s gaming market Nvidia chipsets are king, but that can be temporary as AMD is preparing the release of its new Vega microarchitecture. Currently, Pascal reigns supreme. Studying both company’s top-end consumer cards, GeForce GTX 1080ti by Nvidia turns out to show a significant lead over RX 580 by AMD, and even such mid-range cards as the GTX 1070 are competitive against Radeon RX 580. 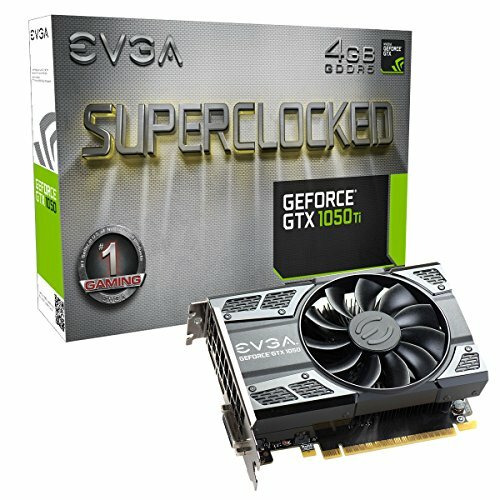 If you're looking for a discount, this tech deals site sometimes has savings on these graphic cards. Concerning the budget, less-expensive offers by AMD win the price-performance comparison, while, the RX 550 comes out to be on top if compared to Nvidia’s GTX 1050 and 1050ti. Still, at the same time, Nvidia’s cards have superior gaming performance. 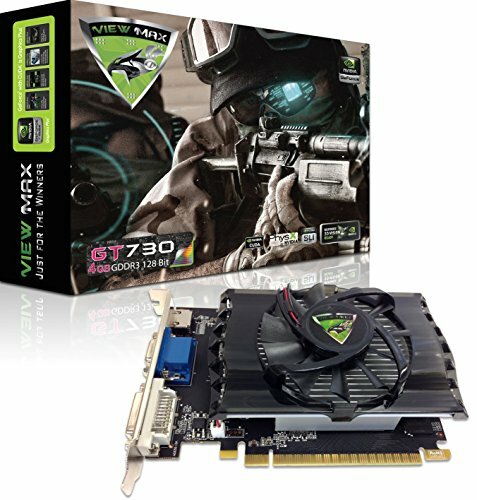 A video card (another way called a graphics card, display card, graphics adapter or display adapter) is an expansion card that generates output images to the display (for example, a computer monitor). In most cases, they are advertised as dedicated or discrete graphics cards, to emphasize the difference between these graphics and integrated ones. The core of both cards is the GPU, which is often used for referring to the video card itself.